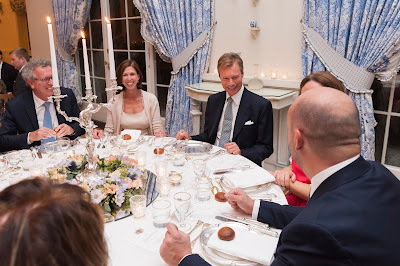 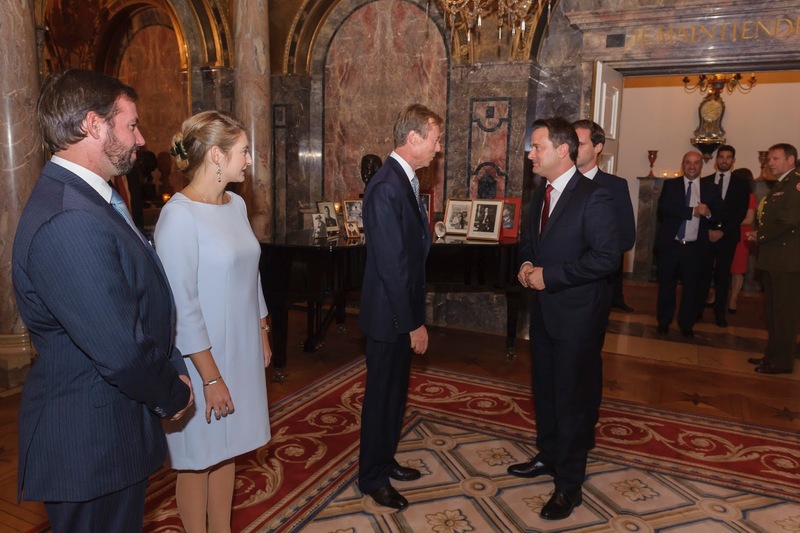 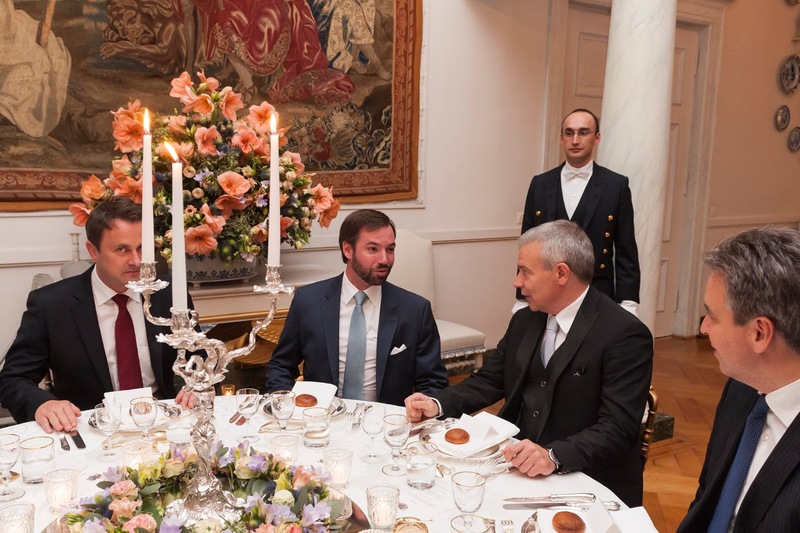 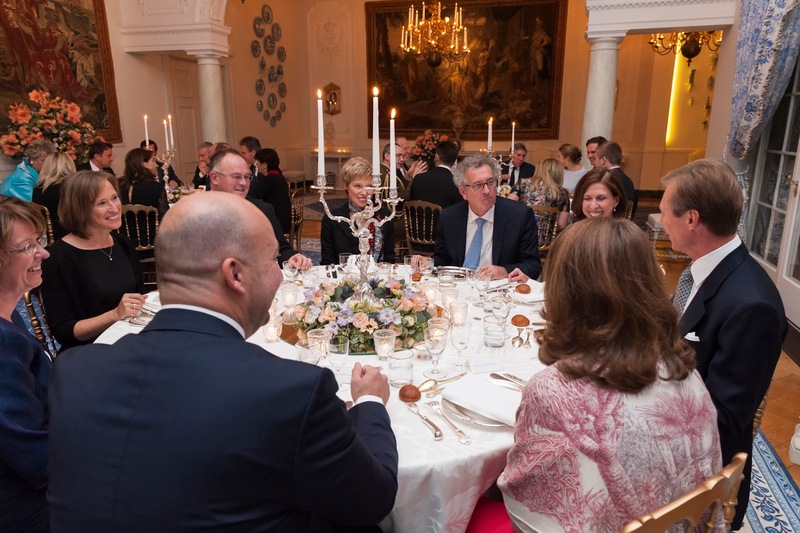 On Tuesday night, Grand Duke Henri, who was joined by Hereditary Grand Duke Guillaume and Hereditary Grand Duchess Stéphanie, hosted a dinner the members of Luxembourg's government at the Château de Berg. 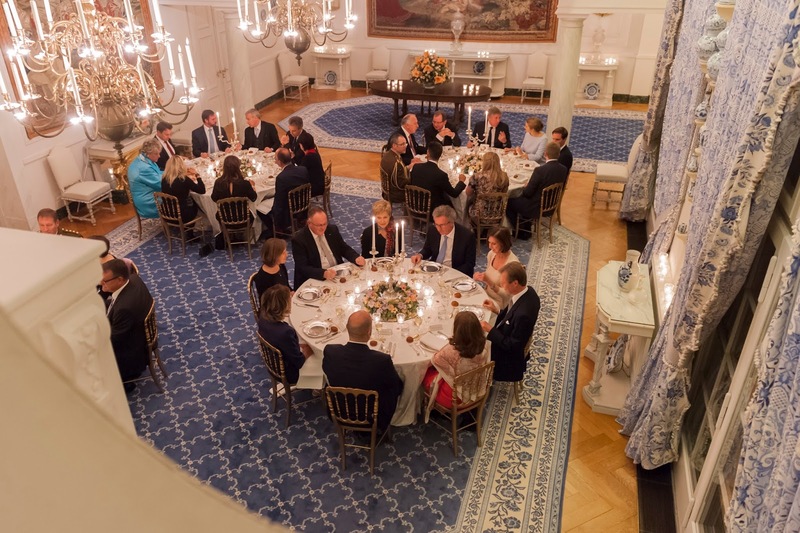 The political guests were welcomed in the Salle «Je Maintiendrai» before proceeding to the dining room for - exactly - the dinner. These kinds of dinners attended by members of the Grand Ducal Family and members of the government take place every few months.